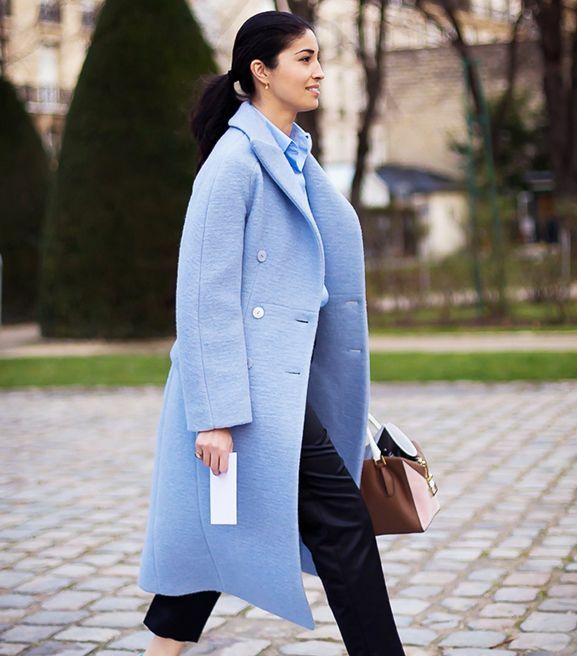 11 inspiring outfits to keep you stylish at (and after) work. Scroll through for our favourite looks! Stand out (in a good way) in a breezy printed set. Incorporate a colourful floral blouse into your next look! For the warmer days of summer, roll up your sleeves for a makeshift short sleeve blouse. For a super feminine look, wear a ladylike pink suit with a dainty lace blouse. Embrace the warm weather at the office in a breezy midi skirt. Try a modest shift dress paired with a simple belt and heels. This striped set makes for a great office-to-drinks ensemble. If you’re looking for a more casual option, try a boxy top and loose trousers combination. Mix this office staple with a casual top and statement heels. What’s your office wardrobe missing? A pair of polished wide-leg pants. Explore a moody blouse this season—pair it with bright white jeans, trousers, or a skirt for a nice contrasting look.